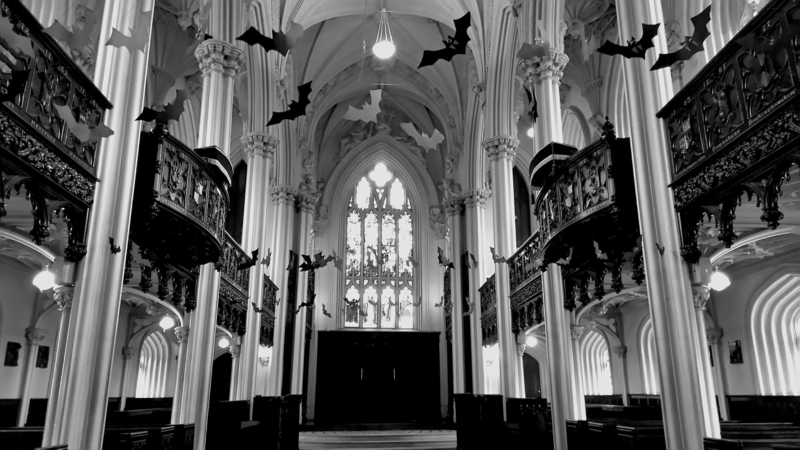 With Halloween just around the corner and the Bram Stoker Festival in full swing, what better time to remember one of Dublin Castle’s most famous ex-employees? 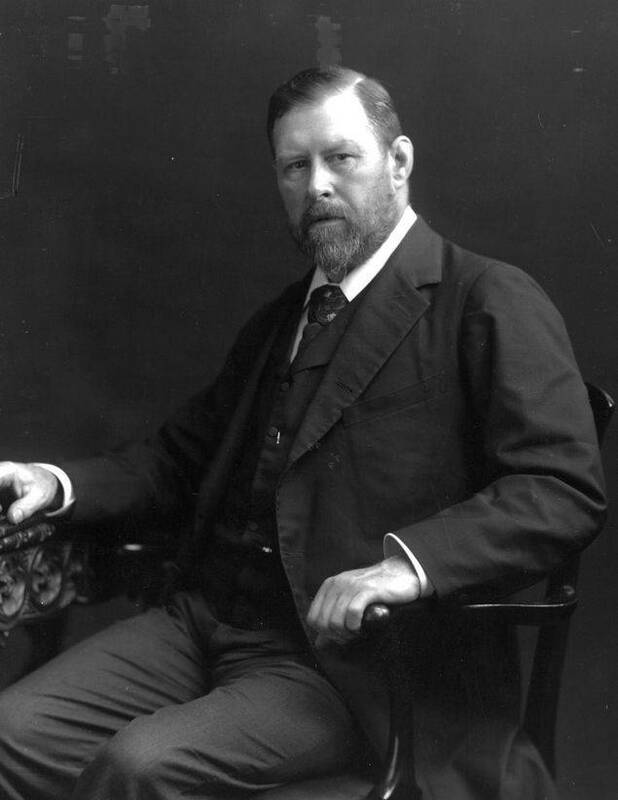 Abraham ‘Bram’ Stoker’s haunting magnum opus, Dracula, is one of the cornerstones of Gothic fiction and has lost none of its popularity since its first publication in 1897. Dracula has spawned countless interpretations in literature and film and is the source of many, if not most, vampiric tropes found in modern fiction. Like the book’s antagonist, Stoker’s masterpiece seems to be immortal. Let’s not forget where Stoker started though. 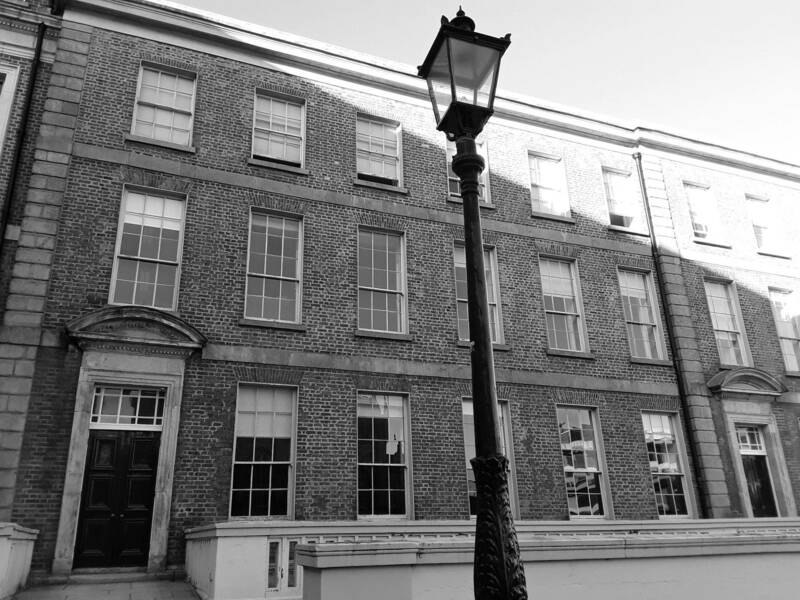 Still going by Abraham at the time, his first published book, The Duties of Clerks of the Petty Sessions of Ireland, was based on his experience as a civil servant here in Dublin Castle. This collection of duties included the salary and working conditions of a clerk, fines and lists of regulations and was a guide for his fellow civil servants. While perhaps not as riveting a read as Dracula, it would be true to say that Stoker made his literary début here in the Castle. Stoker began work in Dublin Castle in August 1871, following in the footsteps of his father, later surpassing him to become Inspector of Petty Sessions. In this position, he oversaw the magistrates’ courts that tried all cases down to the most minor crimes, the surviving records of which provide valuable insight into the minutiae of Irish life at the time. In light of this background, the Gothic fantasy of Dracula may seem far removed from Stoker’s mundane work life. It is generally accepted that the character of Dracula was inspired by Vlad III Dracula, more famously known as Vlad the Impaler, a prince of Wallachia in the fifteenth century. However, Stoker never visited Romania and does not appear to have researched the life of Vlad Dracula, so it seems that the only commonality between the Wallachian prince and Stoker’s Count is the name. There is, however, also a fancy that Vlad the Impaler drank the blood of his victims, which, admittedly, should not be overlooked. Nevertheless, we may find parallels in the life of Bram Stoker and the fictional world he created that go beyond the bloodsucking tendencies of nineteenth-century tax collectors in Dublin Castle. Born in Dublin in 1847, at the height of the Irish Famine, Stoker was a sickly child whose mysterious illness kept him confined to his bed in his early years. During this time, his mother would tell him gruesome stories, truth and fiction, to keep him entertained. She had lived through the cholera epidemic, during which victims were rumoured to have been buried alive to prevent the disease from spreading. Such victims lay in a graveyard close to Stoker’s childhood home in Clontarf. As a famine survivor, Stoker no doubt heard stories, too, of the starving masses – the walking dead – making their way through the streets and roads of Ireland, while huge banquets were held in his future workplace of Dublin Castle. The original title of Stoker’s manuscript was, in fact, ‘The Undead’. Add to this that a popular Victorian ‘treatment’ for a variety of illnesses was bloodletting by lancet and by leech. Young Bram Stoker was likely subjected to this regularly during his illness to remove the ‘bad blood’ from his body. Against this backdrop of the writer’s own blood, ghost stories and Ireland’s horror at the time, it is possible that the bones of the novel Dracula were formed long before it was published in 1897. Meanwhile, Stoker honed his literary skills during his time in Dublin Castle. His first short story, ‘The Crystal Cup’, was included in a literary magazine just one year after he began working here. It tells the story of an artist, trapped and unable to create. Whether this is a metaphor for Stoker as an artist trapped in a job which stifled his creativity or a simple fiction, we may never know, but what we do know with certainty is that his career as a writer began here in Dublin Castle. However, had Stoker not left his job eventually in 1878 for theatrical life in London, pop culture today would look very different. Buffy the Tax Collector may be dominating our screens, while Twilight would tell the story of a mild-mannered court clerk who fell for a voluntary Justice of the Peace.